NHAND prides itself on not only helping to support the naturopathic doctors of New Hampshire, but also providing the citizens of NH with an opportunity to find and connect with a licensed naturopathic doctor for their natural health needs. The New Hampshire Association of Naturopathic Doctors (NHAND) is an organization comprised of New Hampshire state licensed naturopathic doctors (also known as NDs). NHAND was founded in 1988 with the intention of advancing the philosophy and art of naturopathic medicine within the state of New Hampshire. The law granting licensure to naturopathic doctors was passed in 1995, and instituted in 1996. Since that time, the NHAND has expanded to 40 members and the governing board has licensed over 100 naturopathic doctors in the state of New Hampshire. One of NHAND’s greatest accomplishments has been to assist in the ability for naturopathic medicine to be covered under some insurance companies in the state. The organization continues to grow and be active in New Hampshire with organizing the largest yearly naturopathic medicine conference in New England, as well as working to increase awareness of national Naturopathic Medicine week. Dr. Beaudoin is also dedicated to improving access to health care and education. Since 2012, she has been serving as the President of the New Hampshire Association of Naturopathic Doctors. Dr. Beaudoin is passionate about working with patients to relieve pain and suffering while restoring health and vitality. She earned a Doctorate in Naturopathic Medicine at Bastyr University, the leading naturopathic medical school in the country. She is committed to identifying the underlying cause of health issues by actively listening and hearing each patient’s story in conjunction with utilizing the latest laboratory and diagnostic technologies to formulate individualized treatment plans. In the process, Dr. Beaudoin educates and empowers patients to become active participants in building a strong foundation of health and total wellness. The common goal is long lasting and rewarding results for patients and their loved ones. She also enjoys cooking and trying new recipes, hiking, gardening, listening to music and snowshoeing. She loves spending time with her friends and family, taking long walks with her dog Jax and playing tennis. Dr. Haff moved to New Hampshire in 2017 after practicing in Burlington, Vermont for several years. She is excited to serve as the newly-elected Vice President of NHAND and is dedicated to expanding the practice of Naturopathic Medicine in our state. Dr. Haff practices at Lilac Natural Medicine in Manchester, where she sees patients of all ages, with a focus on Pediatrics and Women’s Medicine. She loves treating patients with various natural modalities, but Nutrition, Botanical Medicine, and Acupuncture are her favorite. 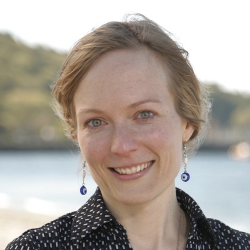 She is a graduate of Southwest College of Naturopathic Medicine in Tempe, AZ, and Smith College in Northampton, MA. In her free time, she enjoys singing, traveling, and spending time with her husband, son, and cat. Dr. Angela Lambert in a NH Native who returned to Portsmouth after 13 years in Oregon. She has been acting as the NHAND Treasurer since 2012 and has also helped to organize our annual conference. A former music teacher, music therapist and massage therapist, Dr. Lambert is a lover of both creativity and organization. 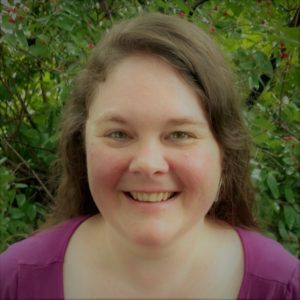 She has a private practice in Portsmouth, Ancient Traditions Natural Medicine, LLC, where she incorporates Naturopathic medicine, Classical Chinese Medicine, Classical Five Elements Acupuncture and Chinese herbology with a focus on Mind-Body balancing. 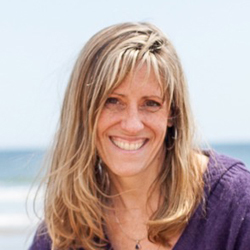 Lindsay DeHaas, ND, is a licensed naturopathic doctor and graduate of Bastyr University. Since completing her medical training, Dr. DeHaas has worked in research at the Bastyr Integrative Oncology Research Center and as a clinician in Alaska and Washington before coming to New Hampshire. She has been acting as the NHAND secretary since January of 2015. 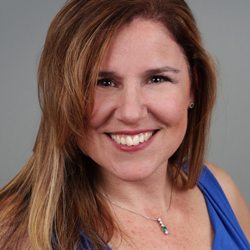 Anne Groff took on the position of executive coordinator in March 2014. Her organizational skills, communications and support for NHAND keep projects going and members updated with important news in the organization. Anne is a NH native, a single mom with two adult sons, and a deep interest in natural health care. Anne got a lot of naturopathic exposure with her experience working as an office manager in a naturopathic doctor’s office, however her love of natural healing started with her jewelry line “Betty Rocks Jewelry” with an understanding of the healing attributes of natural gemstones. Aside from her duties to NHAND, Anne is also a Justice of the Peace, an office manager for a landscaping company, a jewelry creator, as well as a representative for “Beautycounter”, a company working to get safe beauty care products into the hands of everyone. In her spare time, Anne enjoys live music, kundalini yoga, gardening, reading, biking, swimming, traveling, skiing, hiking, kayaking, and visiting with family and friends. 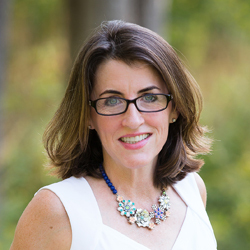 Anne’s mission for NHAND is to inform New England residents of the great naturopathic doctors of NH and increase awareness of naturopathic healthcare.